Anderson Valley has earned acclaim for the complexity and distinctiveness of its sparkling wines. 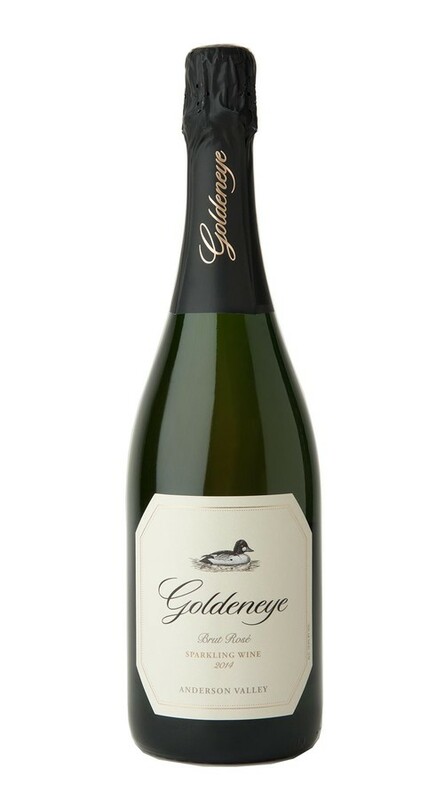 Made from our very best blocks of Pinot Noir and Chardonnay, our vibrant and alluring Goldeneye Brut Rosé captures the rich diversity of our estate program, offering vivid layers of blood orange, honeydew and hazelnut flavors. *Note: Bottles do not come with glitter. Over the past several decades, the Anderson Valley has emerged as California’s preeminent sparkling wine region. With a dramatic coastal climate offering clockwork morning fog, sun-filled days and cold nights, the grapes are able to retain the ideal acidity necessary for a great sparkling wine. This wine offers beautiful flavors of stone fruit, marmalade and orange zest, with a striking lime pith and mineral finish that lingers gracefully on the palate.